Mr. Moore has practiced real estate law and property litigation for more than thirty years. He has extensive experience with real estate acquisitions and dispositions, mortgage lending, real estate loan workouts and foreclosures, land use and zoning, real estate litigation, quiet title, slander of title and title insurance issues. Mr. Moore has tried over twenty real estate cases in the Utah courts. 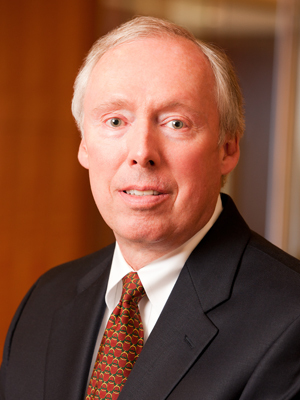 Mr. Moore is the past chairman of Ray Quinney & Nebeker’s Real Estate Section, a former member of the Firm’s Management Committee, and a former chair of the Real Estate Section of the Utah State Bar. Mr. Moore has been recognized in Chambers USA in Real Estate (Band 3). He has been included on the list of The Best Lawyers in America in Real Estate Law and was recognized by Best Lawyers as Lawyer of the Year in Litigation – Real Estate (2015). He maintains an AV Preeminent (5.0) rating with Martindale-Hubbell, which is the highest rating awarded to attorneys for professional competence and ethics. Mr. Moore has also been selected for inclusion in Mountain States Super Lawyers (2007-2018) in the category of Real Estate and was voted by his peers throughout the state as one of Utah’s “Legal Elite,” as published in Utah Business Magazine (2006-2014, 2016-2018).